What is real? Is it what we see? 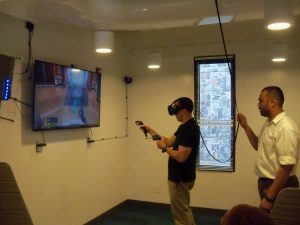 Duke is home to four VR locations, the DiVE, Bolt VR, TEC VR and the Multimedia Project Studio! Read the full article here. Mark-Everett McGill (OIT) assisting Jared Lazarus (Duke Photography) during a VR Experience. 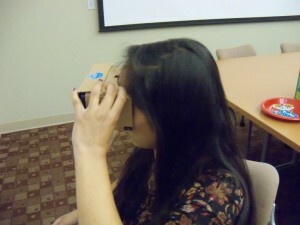 Explore Virtual Reality for Higher Education! Explore data visualizations created by Bin Software that use the HTC Vive room-scale virtual reality (VR) system on Monday, January 25 in 3051 Trent Semans Center for Health Education in conjunction with the Duke research computing symposium. Register to be able to put on a VR headset and walk (literally!) 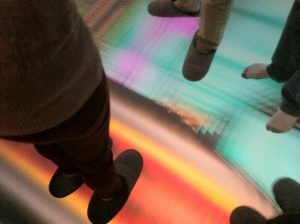 through a visual representation of data and see how that data can be manipulated in 3D. There are other ways to participate, too! See the link for more information below. Refreshments will be available. Anika Ayyar (student trainer) trying out Google Cardboard. Stop by the RENCI Conference Room, OIT Telecommunications Bldg. on Tuesday, January 26 any time between 10:00 a.m. – 4:00 p.m. to check out VR tools like the Oculus Rift, Google Cardboard, the Samsung Gear VR, and more. Discuss how VR can be used for teaching and learning at Duke. No registration required. Refreshments will be available. Join David Hemly, Sr. Manager World Wide Technical Field Team Pro Video at Adobe on Wednesday, January 27 from 9:30-11:30 in 119 Telcommunications Bldg. for a discussion of tools and initiatives Adobe is working on for VR. Registration is limited. Register online at: training.oit.duke.edu/reg. For more information and to register, visit https://dukedigitalinitiative.duke.edu/virtual-reality-events-january-2016/. These events are sponsored by the Duke Digital Initiative (DDI), a collaboration between OIT and CIT to explore new and emerging technologies to support teaching & learning. What happens when you introduce virtual reality (VR) into schools? Mike McArdle, co-founder of The Virtual Reality Learning Experience, will describe VRLE’s experiences over the last year and a half as they have taken VR into local schools to help students understand the scale of outer space. As part of the process, VRLE has developed a better understanding of how kids, teachers, and administrators react to VR and what other kinds of content might be useful. During the second half of this event, we’ll have an open discussion about how the lessons VRLE has learned can be applied in higher education as we continue to examine the potential for VR in teaching and learning at Duke. No registration required. This event is open to all. See the Duke Events Calendar for complete details. For questions, email Elizabeth Evans e.a.evans@duke.edu. Teaching & Learning with Virtual Reality: Learn About It & Experience It! What is virtual reality? Imagine being able to travel underwater, into space, on the Amazon River, through a rainforest—all without leaving your desk. Look up, look down, look behind you and the illusion of being immersed in the environment persists. See a humpback whale approach and hear her song as she approaches and swims away. Jump, startled, as a boa constrictor moves across your path through the forest. If you are interested in learning more about virtual reality (VR) and contributing to a growing conversation about how it might be applied to teaching and learning at Duke, join us for this lunch and learn. Learn about the current state of the technology and hear about some ways VR is already being used at Duke. After the panel presentations (noon-1:15), stay and try out some VR devices (1:15-2:00). Attendees will be eligible to win a Google Cardboard VR viewer that can be used with many smartphones. Devices available to try will include the Oculus Rift and, for smartphone apps, the Samsung Gear VR, the Wearality, and Google Cardboard. No registration required. 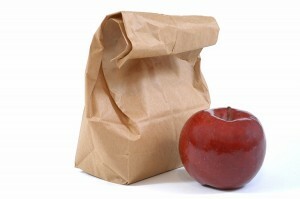 Feel free to bring a brown bag lunch. Also, The DiVE will have a special Open House for us that same day from 4-5 in case you want to check it out. (Their normal weekly Open Houses are held Tuesdays). Interested in Virtual Reality and Education at Duke? If you are interested in how VR might be used for teaching and learning at Duke, join the new vr2learn@duke.edu mailing list. Go here to subscribe: https://lists.duke.edu/sympa/subscribe/vr2learn.